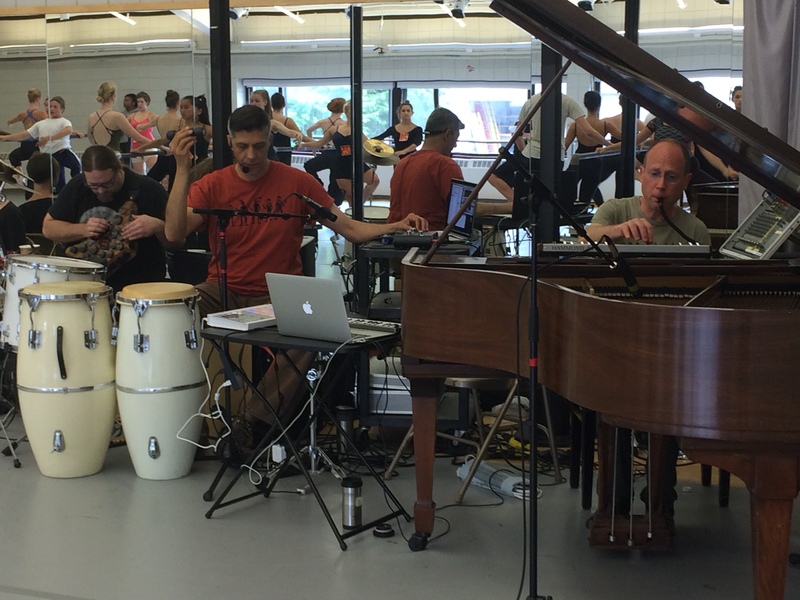 Upon walking into the sunny studio for their placement class, the Young Dancers Workshop participants were greeted by not one, but four world-class dance accompanists prepared to play for them. Albert Mathias, Shamou, Peter Jones, and Carl Landa have been regular members of the BDF staff over many years and are each considered experts in their fields. The quartet spent their day improvising as a group to create music for the ballet, modern, and jazz combinations that comprised the placement classes. These classes are the first time the young dancers experienced all the musicians playing together during the three-week program. Albert Mathias, Shamou, and Carl Landa accompany a ballet combination. I sat down with multi-disciplinary musician, Albert Mathias to talk about the experience of improvising with his long-time colleagues and friends. 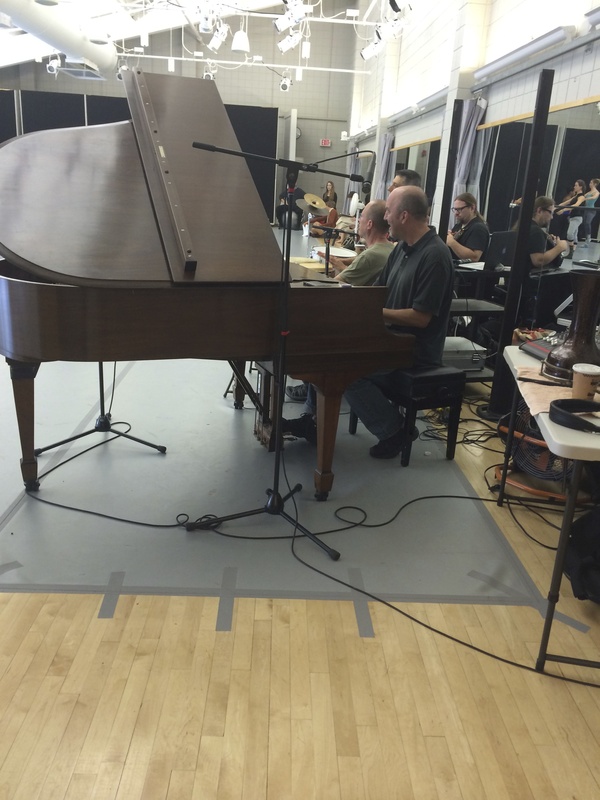 Mathias began by saying, “I know them very well,” before continuing on to explain that both the familiarity with his fellow musicians and level of expertise shared by the group made improvising together very easy. “The musicians here are some of the best in the world at what they do. They all have something to bring, and each person led a little bit,” he said. Drawing upon similarities between dance and music, Mathias said he mostly thinks about listening and being in a collective environment when he is improvising with multiple musicians. During their placement classes, the dancers demonstrated this similarity by navigating a smaller space with lots of other dancers. For this particular round of improvisation the musicians prepared by talking a little bit beforehand. Mathias said each member shared which instruments they thought they might bring to the studio, but not much else. The musicians did the rest of the work on the spot. Mathias said this year he has the same goals as when he has attended BDF in the past, to produce clear, fitting music for the classes he accompanies, and contribute to the encouraging, daring, and sincere class environment we strive to cultivate here at BDF. The four musicians will come together once again next Friday, July 10th, to teach a master class for the young dancers. This post was written by Sarah Ellen Miller. Sarah is the BDF Social Media Intern for the 2015 summer.